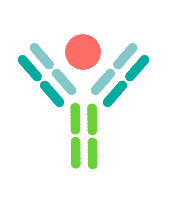 Chromatin immunoprecipitation (ChIP) is the process by which a protein of interest binds to a specific genomic DNA region. The condensed DNA and histone protein complex that is packaged together to form nucleosomes is known as chromatin. Using a ChIP assay, researchers are able to investigate the interaction certain proteins or modifications may have with DNA, and uncover the specific DNA sequence this interaction is occurring. ChIP sequencing (ChIP-seq) combines the ChIP method with high throughput sequencing to pinpoint the exact gene sequencing to which a protein binds in living cells. Various cellular functions including gene transcription, signal transduction, chromosome segregation, and epigenetic silencing can be better understood through the assessment of protein-DNA interactions. Researchers can compare two different sample groups such as those that are healthy or diseased and determine the difference in histone methylation levels associated with a specific gene promoter region. In addition, the genomic location of histone modifications or other epigenetic mechanisms can be mapped using chromatin immunoprecipitation. Genetic targets of DNA-binding proteins and the relevant epigenetic mechanisms are important to understand in order to uncover the nuances of cellular processes. ChIP can also be performed without cross-linking to investigate stable protein-DNA interactions, which is known as native ChIP or N-ChIP. This process, however, requires that the histones associated with DNA have atypically high stability and researchers run the risk of nucleosomes rearranging while the chromatin is being processed. X-ChIP is typically used most frequently.